The July 4th holiday is a great time to celebrate our country’s independence with friends and family. From backyard barbecues to family gatherings, pool parties and fireworks, there is lots to do on this day. However, as with any holiday the roadways will be more congested than usual with holiday travelers and driver safety should be top priority for motorists this week. 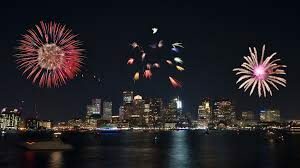 Based on a study conducted by the Insurance Institute for Highway Safety, the deadliest day for traffic crashes throughout the year is actually July 4th. Over a four year period spanning from 2010 until 2014, the Institute found that an average of 118.4 motor vehicle deaths occur on July 4 every year. The national average day during that same time period was about 90 fatalities on our nation’s roadways. Not surprisingly, alcohol played a major role in the increased number of crashes. In nearly 47% of the reported July 4th accidents, at least one of the drivers or pedestrians had a blood alcohol concentration of .08% or greater. Other reasons for accidents including speeding, reckless driving and inattention, matters which are complicated when additional traffic is on the roadway. There are, of course, several things that drivers can do in order to help prevent accidents and enjoy their holiday. Drive Defensively – Do not make aggressive maneuvers such as trying to squeeze into traffic at the last second. Allow enough space between yourself and other drivers on the highway. This will give you time to stop suddenly and help avoid rear end collisions. Avoid Distracted Driving – The text to your friend or family member about the pool party can wait. Sending a text message while driving exponentially increases your chances of being involved in a crash. Pick a Designated Driver – If you are going to be drinking you should always have a designated driver. If one is not available, use Uber, Lyft or a ridesharing service to ensure you make it home safely. Obey Traffic Laws – Speeding, failing to yield and reckless driving are common causes of all accidents. This is no different over a holiday. Drive safely to minimize your chances of becoming a victim. We are of course hoping for a safe and happy July 4th. However, if you do find yourself in the unfortunate position of being injured in an accident, we are here to help. At the Law Offices of Jeffrey S. Glassman, we help accident victims every day of the year, regardless of the circumstances. Give us a call at 617-367-2900 for a free consultation with one of our attorneys.